After hosting the Olympic Games in 1932 and 1984, Los Angeles is in the hunt to be the Unites States’ candidate to host them again in 2024. Earlier this week the city made a presentation to the U.S. Olympic Committee, followed by pitches from Boston, San Francisco and Washington, D.C. According to Inside The Games, a website dedicated to Olympic news, LA’s proposal would be heavy on existing facilities, cutting down on costs so much that Mayor Eric Garcetti called it the “most affordable” of any U.S. proposal. 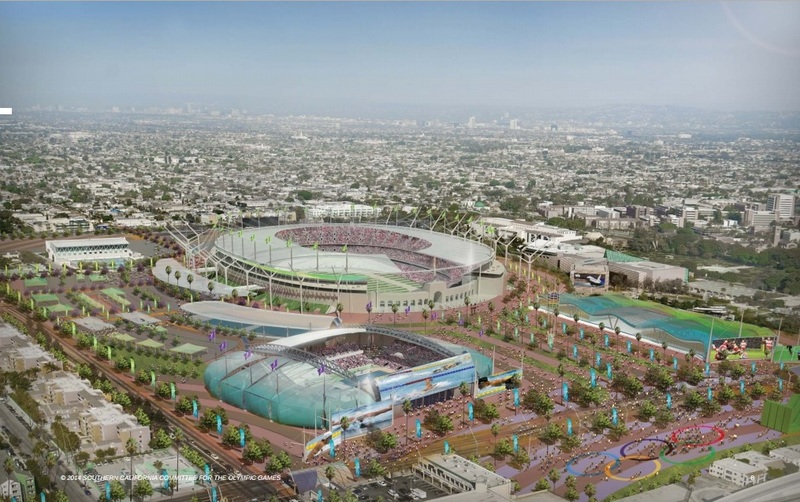 The games would once again focus on the LA Memorial Coliseum (which would be substantially renovated), and surrounding Exposition Park, both just south of USC. Other significant venues would include Staples Center, the Nokia Theater, Griffith Observatory, the Queen Mary, and even Walt Disney Concert Hall. 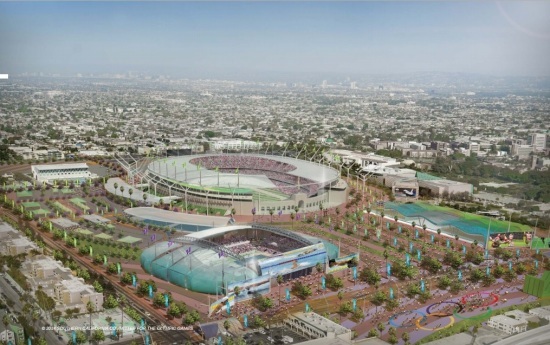 According to Inside The Games, the bid shows off LA’s ongoing transit expansion, with officials claiming that 80 per cent of spectators will be connected to venues by public transport. 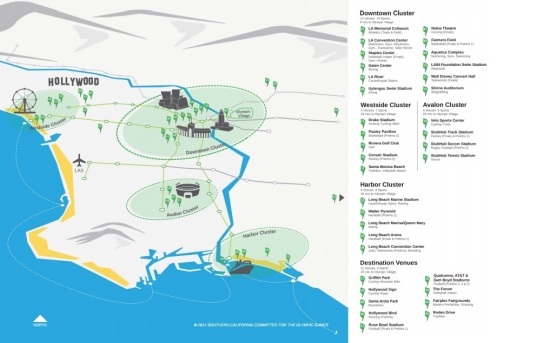 San Francisco proposed a $4.5 billion, privately financed plan that would also focus on existing, or already-planned facilities. 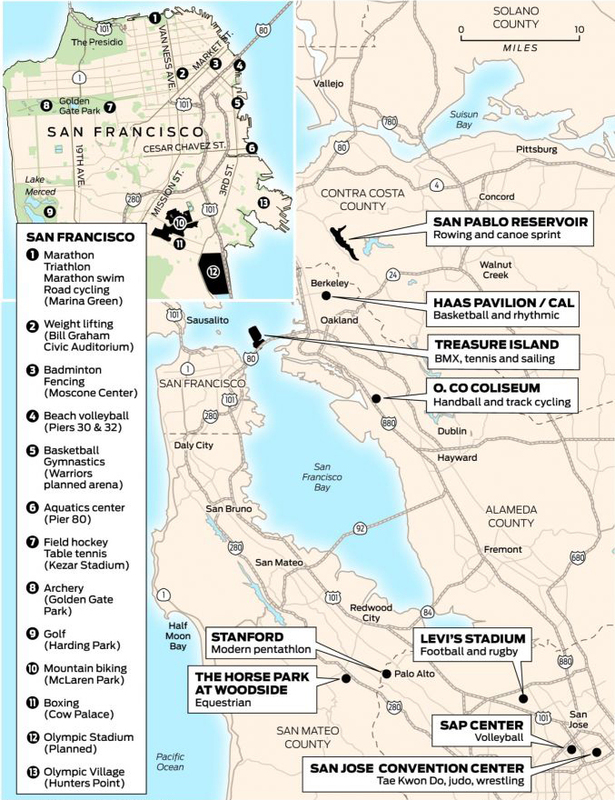 According to the SF Chronicle they would include newly-completed Levi’s Stadium in Santa Clara, several waterfront piers, and the Golden State Warriors’ upcoming arena in Mission Bay. A temporary stadium for the opening and closing ceremonies in Brisbane, south of San Francisco, would be removed after the games, and the Olympic Village would be contained in 2,000 units of housing already approved as the fourth phase of development at the Hunters Point shipyard. “We’re not going to be building white elephants in our city or anyplace in our region,” San Francisco Mayor Ed Lee told the Chronicle. 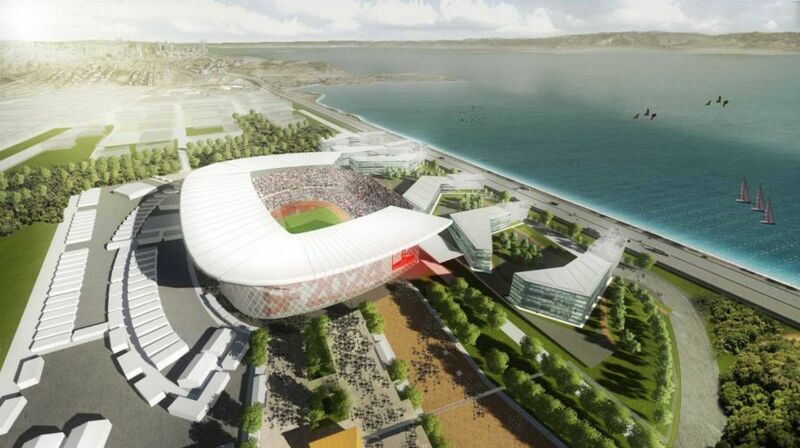 The USOC is expected to decide on an entry city by early next year, and the International Olympic Committee is expected to choose the 2024 host city in 2017. The U.S. has not hosted a Summer Olympics since the 1996 Games in Atlanta. The last U.S. city to host the Winter Olympics was Salt Lake City, in 2002. Boston Coliseum Exposition Park Hunters Point Levi's Stadium Los Angeles Olympics San Francisco Washington, D.C.